specialists in the Third Reich and World War II, at the meeting of the Institute for Historical Review in California in April 2005. British historian David Irving, speaking on “The Faking of Adolf Hitler for History,” identifies the many fraudulent documents that have been cited over the years by “conformist” historians of the Third Reich era. 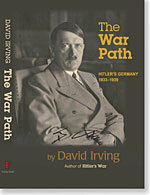 As even his adversaries concede, Irving’s knowledge of Hitler and wartime Germany is unrivaled. He was able to interview most of Hitler's staff and generals. 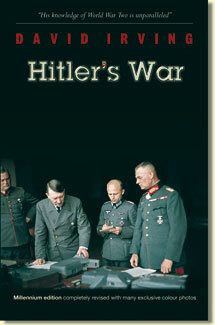 He is the author of numerous books on this era, many of them best-sellers, including his monumental work, Hitler’s War. Mark Weber, director of the Institute for Historical Review, asks in his address, “Is an Objective View of Hitler Possible?” He says that outright lies about Hitler and the Third Reich are widespread and unchallenged in today’s America. 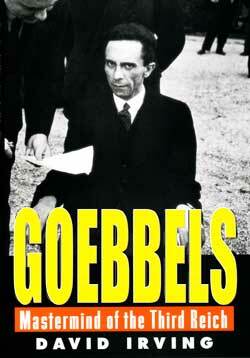 The portrayal of Hitler and his regime is grotesquely unbalanced, not only in the mass media, but even in supposedly authoritative history books and reference works. Weber has written extensively on twentieth-century European history, and is a court-recognized expert on Germany’s wartime “Final Solution” policy. 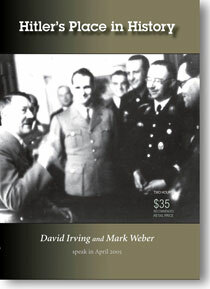 Cover photo: April 10, 1938, and Hitler has triumphed in the election. left to right: Hitler, Hess, Hewel, Himmler, Bouhler.